The convenience of take and bake pizza is hard to argue. It’s simple for customers to grab-and-go when faced with hectic schedules, and for operators, par-baked crusts make prep a snap compared to scratch-making dough. 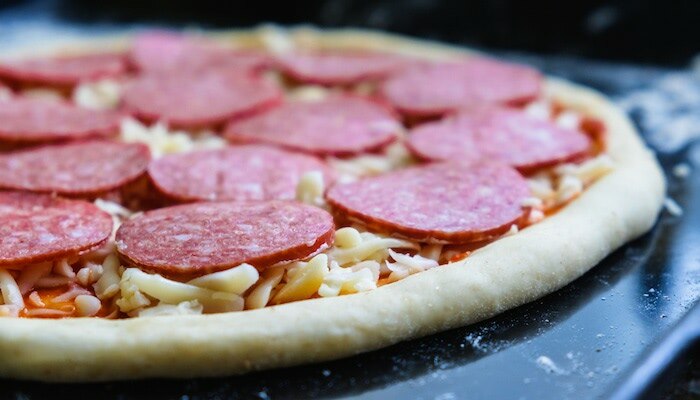 However, par-baked crusts aren’t the only pre-made option for take-and-bake shops, delis, c-stores, and restaurants that offer take-and-bake pizzas. Some operators are hesitant to use pre-made dough balls because of the perceived complexity of working with them. 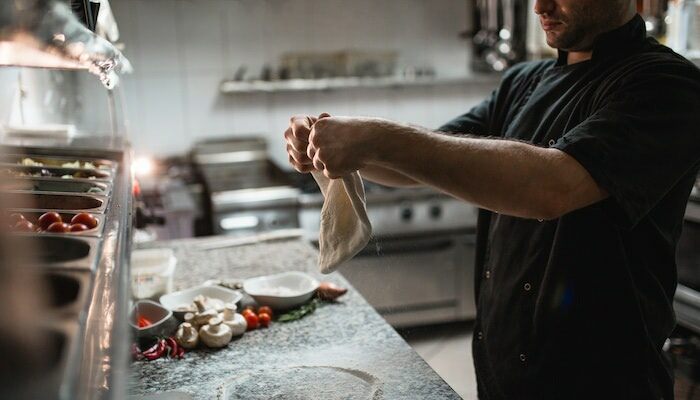 After all, time and staff are generally already at a premium, so why complicate the process, stress staff and risk quality and consistency by adding a supposedly finicky crust option into the mix? There’s a very good reason to add pre-made dough balls to your take-and-bake pizza lineup: hand-stretched crusts command a higher price point, which means more money in your pocket. What’s more, the things you may be assuming about pre-made dough balls — they take too long to proof, hand-stretching or hand-tossing isn’t easily mastered, and perfect at-home bakes can be tricky — simply aren’t true. Let’s check out the ease of use of pre-made dough balls and what they could mean to your take-and-bake business. Finger-press a 1" crust edge, working from the interior of the dough ball out and rotating it to maintain a round shape and consistent edge. While the dough ball will flatten during this process, it is not intended to be the final pie size. Roll with a dough docker on both sides, pushing the tines of the docker all the way through the crust in order to pop any air pockets. Decide upon the best baking surface for your oven, which may mean a baking screen or peel, and prepare it with semolina flour, corn meal, corn starch — anything that will keep the dough from sticking to the surface. Drape the dough over your knuckles so you can see the dough ball’s edge when looking at the back of your hands. Work your way around the pizza crust, stretching only the edge, not the middle. Sounds complicated, but gravity will do most of the stretching work. In total, using pre-made dough balls for take and bake gives you the option to present your customers with a pizza choice that’s fresh, authentic and worth a premium price — an easy profit builder for you since the prep work is comparable to par-baked crusts. Also, menu add-ons made from pre-made dough balls like breadsticks or cinnamon rolls are like money in the bank. 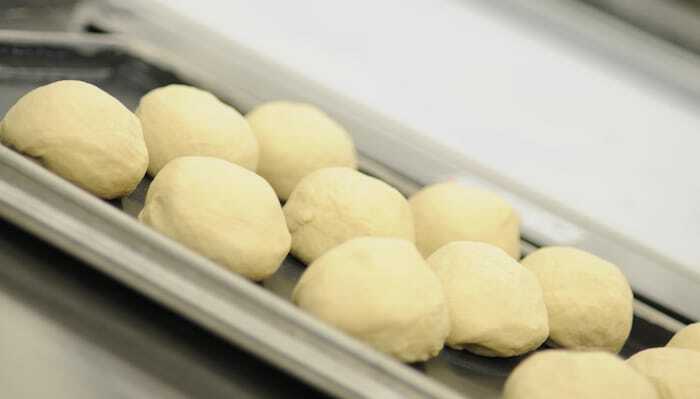 Once common misconceptions about pre-made dough balls are debunked, the practicalities and profitability of using them in take and bake shops, delis and c-stores becomes readily apparent. 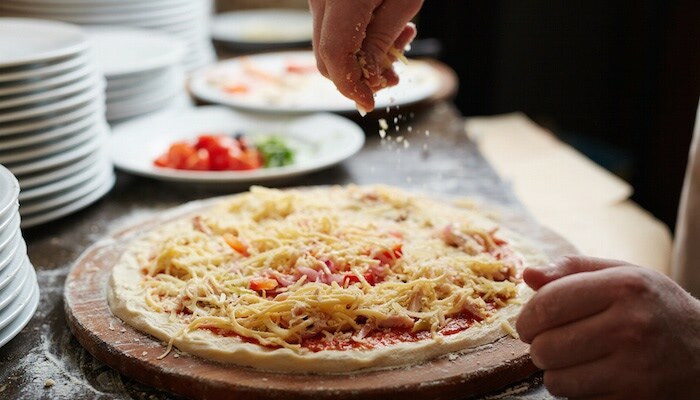 Find out more about the ease of use and consistent quality of pre-made dough balls in our eBook, How to Achieve Perfectly Proofed Pizza Dough. Click the button below to access your copy now!